Hold your horses and call us crazy – but here we go again with another chance to win!! Our new competition is under way! Last year we received an overwhelming 670 entries – so you have to be in it to win it (as our latest lucky winners know all too well!). Here’s an interesting fact: our last competition had two prizes and 1026 entries – you do the math! Had you entered – you would have had a great chance to win guttering that works for your own home! Competition is open to NSW residents only. Winner of the competition will have the cost of any purchase of Easy Fall Guttering products during the competition period credited back to them to the value of the prize won. The competition was drawn by random computer selection – at 12 midday on Friday 7th September 2018. Congratulations to these two lucky winners! CONGRATULATIONS to both our winners! Don’t forget to check out our new competition which is already underway! 1st Prize: The EASY FALL™ Guttering System to the value of $7000 won by L. Brooks, Charmhaven. 2nd Prize : The 2nd Prize of EASY FALL™ Leaf & Ember Guard to the value of $2500 has been won by A. Cornish, Cranebook. Congratulations to both our lucky winners!! Check out our new competition which has already begun! Authorised under NSW Permit No. LTPS/15/01334. The Great Guttering Giveaway No 5 was drawn on Friday 20th November 2015 at 12pm. 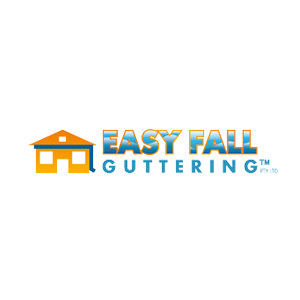 1st Prize: The EASY FALL™ Guttering System to the value of $7000 won by J. Aliano of St Clair. 2nd Prize : The 2nd Prize of EASY FALL™ Leaf & Ember Guard to the value of $2500 has been won by C. Stubbs of Ettalong Beach. The winners names will also be published in the public notices section of The Sydney Morning Herald on Thursday, 26th November 2015. This was drawn by random computerised draw at 12 midday Feb 27. A re-draw for the 2nd Prize Winner in the Great Guttering Giveaway No 4 took place on Tuesday 10/03/2015. 2nd Prize : The 2nd Prize of EASY FALL™ Leaf Guard to the value of $2,500 has been claimed! Guttering Giveway - Home Promotion Special! The Draw took place on Wednesday 30th April 2014. First Prize: The EASY FALL™ Guttering System to the value of $7,000 was won by Karen Fletcher of Winston Hills. Congratulations Karen! Second Prize: The EASY FALL™ Leaf Guard to the value of $2,500 has been won by Jackie Connor of Chatswood! Well done! The winners were notified (immediately) and also announced in the public notices section of the SMH on 7th May 2014. The Draw took place at 12 midday on Friday 14th June. First Prize: J. L. Warrand from Cobbity has won the Easy Fall Guttering System to the value of $7,000!!! Second Prize: D. McCullough has won $2,500 of EASY FALL™ Leaf Guard!! On Wednesday, 14th November 2012, we were very happy to draw the latest winners in The Great Guttering Giveaway No 2 (NSW Permit No. LTPS/12/04220)!! Initially, on hearing of her win, Ginette was sceptical. Now the McKays are happy to finally get rid of their “gutter gardens” and hopefully, not to have to clean their gutters again. It had been one outstanding “winning” year for Mrs McKay. Not only has she welcomed her 10th Grand-child, and won the main prize at the baby shower, she has now topped of a truly memorable year by winning $7,000 worth of Guttering for her home! Congratulations Ginette & Glen. Well done! The second prize of $2,500 worth of Leaf-guard was not claimed!! A re-draw for second prize took place on Monday 17th December 2012, and it has been won by Mr & Mrs J. Alwishewa of Seven Hills, NSW! Mr Alwishewa was pleased and surprised with his win, and no doubt, is looking forward to having it installed soon! The Great Guttering Giveaway was re-drawn at midday on 27/06/12! Sally Teo of Clemton Park, NSW. I am most delighted to be the winner for the promotion of “The Great Guttering Giveaway” dated 27/06/2012. Don’t forget, our new competition is up and running, and you could be the lucky winner so don’t miss out – you need to be in-it-to-win-it!!!! Our May 2012 Guttering Giveaway! The Great Guttering Giveaway was drawn at midday on Wednesday 16th May! First Prize: The First Prize of Guttering to the value of $7,000 has not been claimed, so there will be a re-draw at midday on 27/06/2012!! The 2nd Prize of $2,500 Leaf-Guard has been won by L. Landel of Kellyville! a First Prize Winner next month!! Our Feb 2012 Guttering Giveaway! We are very pleased to announce that on Monday 6th February, 2012, “The EASY FALL™ Guttering Promotion” draw took place (NSW Permit No LTPS/11/01664). Peter Ducat of Raymond Terrace, NSW. Glenn Sewell of Miranda, NSW. Peter (pictured with Paul Axford) is an extremely happy winner, as he has had ongoing guttering problems, and was actually getting quotes to have something done about it!! How good is that?? Congratulations Peter!! And congratulations to Glenn, on winning 2nd Prize!! Glenn, our second prize winner (pictured with Paul), was happy to win the Leaf-guard for his home, and because he required new guttering, decided to upgrade to the full system.